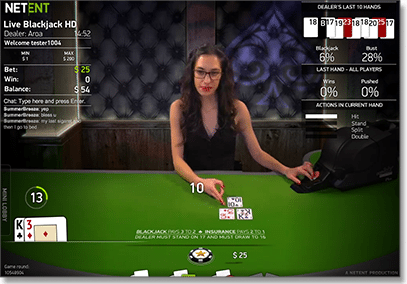 If you have always loved playing card games with family and friends or are partial to enjoying a hand of blackjack or poker at a land-based casino, you may be intrigued to know you can now play real money card games online at Internet-based casinos. Online casinos have been in operation for years now, but with such fabulous technological advancements happening over recent years, online casinos are better than ever. Playing at an online casino can bring you a level of convenience and enjoyment akin to playing at a brick and mortar casino. Although you won’t have to wade through the casino jargon you hear at land-based venues. We will take you through the best online casinos that accept players from your country and what to expect when making the switch to virtual play. Our recommended casinos are all available in browser-based (also called instant-play) mode, which means games are accessed directly over your Internet browser without requiring any special downloads. Given this ease of accessibility, it doesn’t matter what operating system you’re using as instant-play casino sites are available for Mac and PC users. If you do prefer to play using downloadable software, Microgaming powered casinos like Royal Vegas and All Slots offer the option for players to download their premium casino software, along with browser-based mode. Australians are no longer allowed to gamble online after September 13, 2017 due to the Interactive Gambling Amendment Bill 2016 coming into full legal effect. Thus, this page and all other online casino-related content on this domain is for informational purposes only for Australian players – and only relevant for our readers from other countries where playing for real money at online casinos is allowed. We will continue to provide the best game guides and recommendations for legal land-based casinos with card games for Australian visitors. New online players from other countries need not be wary about what venues to play at – simply stick to our list of recommended sites and you can rest assured you are playing at a safe, reputable and highly regarded site. All undergone stringent testing by our casino team to ensure they offer a wide range of games, a variety of secure deposit options, great promotional offers and full customer support. Each of these casinos offer games for free in demo mode, so you can get a feel for online play before having to hand over any personal details or deposit money to play with. It’s the no-risk way to see if online game play is right for you and is also a great way to familiarise yourself with games you’ve never played before. What games can I play at an Internet casino? Slots – classic slots, video slots, 3D slots and progressive jackpot slots. Popular titles include Gonzo’s Quest, Mega Fortune, Game of Thrones, Starburst, Dracula, Jurassic Park, Bridesmaids, Mega Moolah, Major Millions, South Park Reel Chaos, Hall of Gods, Immortal Romance, Thunderstruck and Avalon, amongst hundreds of others. Blackjack – you will find many great variations on the classic game of 21 including Vegas Strip Blackjack, American Blackjack, Vegas Downtown Blackjack, Multi-hand Blackjack, Spanish 21, Pontoon, Pirate 21, Atlantic City Blackjack, Single Deck Blackjack and Live Dealer Blackjack. Roulette – choose from European Roulette, American Roulette, French Roulette, Spingo, Multi-Wheel Roulette, VIP Roulette, Auto Roulette and Live Dealer Roulette. Video poker – All American Poker, Deuces & Jokers, Aces & Faces, Deuces Wild, Joker Poker, Tens or Better, Aces & Eights, Joker Wild Multi-Hand and Double Bonus Poker, to name a few. Other table games – Three Card Poker, Texas Hold’em, Baccarat, Craps, Caribbean Stud, Casino Hold’em, Red Dog, Cyber Stud Poker, Pai Gow Poker, Triple Chance Hi-Lo and a range of live dealer table games. Virtual scratchies – click to scratch and win at such popular games as Enchanted Woods, Bunny Boiler, Granny Prix, Foamy Fortunes, Dawn of the Bread, Whack a Jackpot, Crypt Crusader, Hairy Fairies and Beer Fest. Absolutely. Advances in mobile technology have resulted in easy accessibility for play via your smartphone or tablet. The switch to instant-play browser games means that mobile play is no longer restricted to just iOS users, now casino games can be accessed from most popular mobile devices as long as they’re equipped with relevant software like Flash, HTML5 or Java. The selection of mobile games is only a portion of what you’ll find at the full desktop casinos, but more mobile-friendly titles are being optimised by the week. Whether you’re using an iPhone, iPad, Samsung Galaxy, Windows Phone, Blackberry, Nokia, LG, HTC or other Android powered device, give online casino games a go from anywhere you can secure a 3G, 4G or Wi-Fi connection. To make a deposit, sign into your casino account, head to the banking section and select whichever payment method you wish to use. Follow the prompts to enter your payment details along with the amount of cash you wish to transfer and in most cases you will receive instant access to your money so you can start your online adventure right away. We only endorse casinos that use strict security measures. The venues you’ll find recommended on our site use a minimum of 128 Bit SSL (Secure Socket Layer) digital encryption security which works by scrambling any details entered over a secure site so that no personal or financial information can be intercepted by an outside user. This is the same level of online security used by leading banks around the world, so you can play real money casino games with the peace of mind that your private information is well protected.